Our company is currently seeking a professional Restaurant Manager with outstanding customer service skills and experience in a fine dining environment. Are you a spirited leader with the ability to inspire and motivate your team to strive for excellence? If so, we have a great opportunity for you at our location in Blue Bell, Pennsylvania. Our property has a rich history in the Montgomery County area. In the past several years, we've reinvented ourselves as a place to celebrate any event. Whether it's a Happy Hour with co-workers, a round of golf with friends, or a large event for everyone, our property has delivered high class, signature service to our guests. The passion our staff has for hospitality along with the eye on quality has been the recipe for success and why we’ve been the recipient of accolades across the Philadelphia region. If you’re looking to join a company that’s passionate about providing world class hospitality to our guests, we’re looking for you! Are you interested furthering your career with a world-renowned institution? This an excellent opportunity to join our team as the Restaurant Manager at our Blue Bell club. Job Description: Our search for a Restaurant Manager is aimed at dedicated individuals who are consistently striving to exceed expectations and have a confirmed record for achieving service prestige. As the Restaurant Manager, you will support the General Manager by ensuring all front of the house personnel is professional and performing according to company policies and standards set by the management team. The Restaurant Manager will feel comfortable giving on the spot critique to avoid any unsatisfactory delivery of food or service. Ensuring an open line of communication between service and back of the house employees will be a function of our Restaurant Manager as well. Ensuring absolute guest satisfaction will be the main focus as the Restaurant Manager. It will be essential to remain approachable and to portray a professional demeanor at all times. Apply Now - Restaurant Manager located in Blue Bell, Pennsylvania! 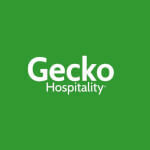 Gecko Hospitality is a North American recruiting firm specializing in the placement of hospitality professionals in the club, casino, hotel/resort, & restaurant industries. Our national network consists of 37 individual regional offices representing two divisions; hospitality and restaurant. Our team covers all 50 states, as well as Canada, and offers professional placement services with over 120 dedicated hospitality professionals boosting over a collective 1,250 years of experience to serve our manager candidates and clientele.